Complex, creative work can be some of the most challenging and rewarding work to do. Unfortunately, it can also be the most frustrating. When you're the team lead, it's your job to protect your team's creativity and energy by keeping projects from endlessly expanding, consuming all the resources, or turning into endless, recurring tasks instead of defined projects. There are three different ways that a team can be held hostage to an unending project. Creative projects are notorious for inevitable scope creep: you start with a defined scope of work, and base your estimates of needed resources and time on that scope. As you tackle the project, however, the defined edges get fuzzy. More work is needed, and the scope of the project creeps out, maybe just a little bit here and a little bit there. That extra work, however, can completely skew all plans and timelines, leading to frustration and a project that becomes much more time-consuming and labor-intensive than predicted. Complex projects, whether they're defined as "creative" or not, come with plenty of room for expansion. The more complex a project is, the more difficult to accurately predict the needed resources, timelines, and dependencies. Complex projects often become clear as you finish one stage and move to another; the way you'll complete the last 50% of a complex project may not be clear, for example, until you've done the first 50% of the work. Complex projects can become all-consuming, because your team is not only busy doing the actual work, they're also continually adjusting expectations and deadlines, communicating new information, and reworking plans to accommodate that information. Sometimes a project just isn't a project. This is especially common with teams whose work covers a particular area of a business, rather than working on a project-specific basis. An IT support team, for example, will have big projects like switching to new servers, and they'll also have regular maintenance tasks like updating software. When ongoing or recurring tasks are treated as projects instead tasks, frustration results. Projects should have a defined scope, a definite goal, and a timeline for completion. Recurring tasks may have a goal, but the task simply resets itself when the goal is reached. As the team lead, it's your job to corral the scope creep and complexity, to define projects and tasks, and to protect your team's creativity and motivation. Your first means of defense is prevention. Be sure that each new project has a well-defined scope and goal. 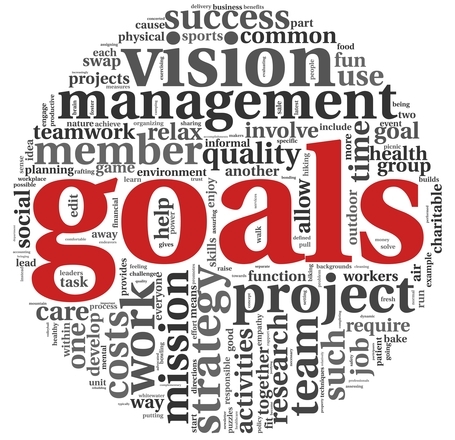 For larger projects, set goals within goals. Help your team construct phases for complex projects, so that they can complete a phase, regroup and plan for the next phase, and not try to do all the work and all the planning simultaneously. Intervention is the next way to protect your team. Notice and deal with scope creep and expanding complexity when it happens. Communication within the team is vital; use regular check-ins, meetings, and easy communication portals like instant messaging to see if your team is drowning in new demands and urgencies. Find the source of the stress: a client, an internal source, or simply an unforeseen situation. Is it controllable or not? If the solution isn't obvious, call in your team and work out a plan together. Adjust timelines and resource needs as needed, so no one feels like they have to meet the old goals with a pile of new, unforeseen work added on. Your final tool is transformation: when you realize that your team is working on a project that is actually a recurring task, name it as such and change the approach. Recurring tasks can be just as creatively demanding and complex as projects. However, they need to be handled with a system, not with a project approach. Ask your team to build a system for the task (system building is a project!) and then implement the system with key measures built into it. Measures let your team know they're completing the task, doing the work and achieving the goal of the task. A good system lets them do so without all the intense focus and creative energy required by a project. If these scenarios sound familiar, it might be a good idea to pull your team together and talk about it. They will have their own insights and ideas for handling projects that get out of hand. When everyone is aware of the danger of unending projects, everyone can work together to avoid that slow death and find solutions.